The Language of Dance® Center (LODC) is an educational service organization dedicated to the advancement and promotion of movement literacy. 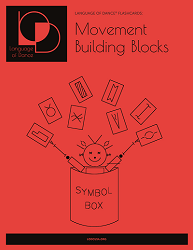 Developed by Dr. Ann Hutchinson Guest, the Language of Dance® Approach links movement exploration with Motif symbols to build an explicit foundation of movement knowledge. Our mission is to advance and promote Language of Dance® (LOD) nationally and internationally as an essential element to empower educators, professionals, and the general public in their study, practice, appreciation, and research in dance. The Language of Dance Center offers four types of educational services: Tasters and Workshops, Thematic Content Courses, Language of Dance Foundations, and three levels of Certification in the LOD Approach (LOD Master Practitioner Certification: Module A). The Language of Dance Center has Motif publications and teaching aids available to purchase for your teaching and creative needs. Start shopping now! The Movement Alphabet are the prime actions ('verbs') and concepts of which movement is comprised. 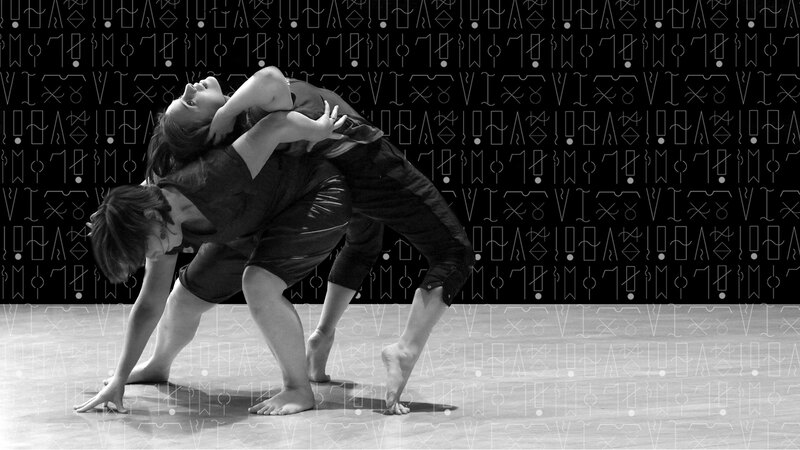 Each Movement Alphabet symbol is a Motif, a representation of an entire constellation of ideas in a single concept, for the mover to interpret in a myriad of ways. 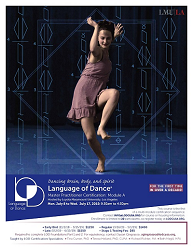 Join the Language of Dance Center! As a member, enjoy full access to members-only resources, information, and downloads, as well as use your member discount in our LODC, USA Shop. 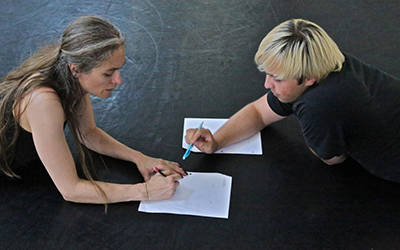 Our dedicated staff are available to help you navigate Language of Dance. Please don't hesitate to contact us with any questions or concerns. Register NOW for Module A of our LOD Master Practitioner Certification. For the first time in over a decade, we are excited to announce our LOD Master Practitioner Certification Module A in Los Angeles, CA. 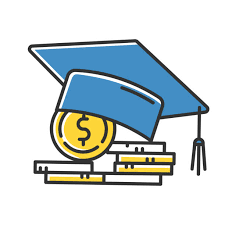 Scholarships are available for K-12 teachers, who have taught for 3 years from Fund for Teachers. Deadline is January 31, 2019. The New York City Department of Education has allocated their Dance Educators $850 from the Mayor’s Arts Allocation. 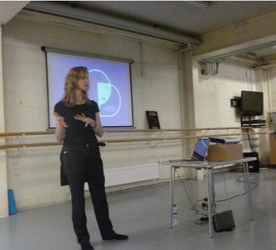 Dance Educators can find great resources at our online Shop! Language of Dance Centre celebrates their 50th Anniversary and Language of Dance Center celebrates our 20th Anniversary! On October 28th, The LODC (UK and USA) celebrated their 50th and 20th Anniversary milestones, and the 99th birthday of our founder Ann Hutchinson Guest at the Royal Academy of Dance in London. 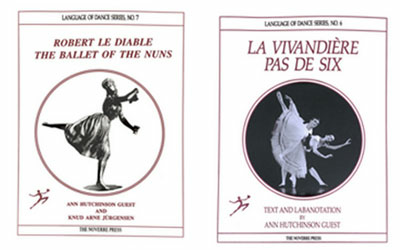 Now available for purchase are Ann Hutchinson Guest's Labanotation scores of The Ballet of the Nuns from "Robert Le Diable" and Arthur Saint-Leon's Pas De Six from "La Vivandiere." Ann Hutchinson Guest received the Martha Hill Dance Fund Lifetime Achievement Award!!! Congratulations to our founder, the revolutionary, Ann Hutchinson Guest on this incredible honor from the Martha Hill Dance Fund. Calling all Members! Calling all Members! Discover new notation tips, theory, research, and other LOD information, exclusive for our fantastic members. 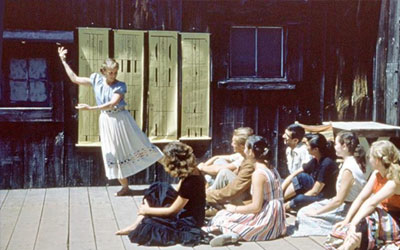 Want to learn more about Language of Dance? Follow our social media profiles and stay up to the date on our latest news. You shop, Amazon gives. Support the LODC, USA when you shop on Amazon Smile.